Huge price drop! Don't miss the deal of a life time! Welcome to Your New Home! This lovely spacious home is just waiting for you! Is NOT in a flood zone! This spacious home has almost 1500 sq foot of living space for your convenience. Two full bathrooms for you to enjoy. There is a huge pool in the back yard for the whole family to enjoy, with a deck all surrounding the pool. The back yard also host a play house for the kids. Extra large storage space and a Three car garage! This home is located at a dead end street with minimal traffic, extra safety for your kids! This is one of the largest house in the block! Don't miss out on this great opportunity, schedule your showing today! Directions:New Cut rd heading south, turns into mount holly rd. turn right at charlene dr. house is on the left. SchoolsClick map icons below to view information for schools near 10619 Charlene Dr Fairdale, KY 40118. House for Sale at 10619 Charlene Dr Fairdale, KY 40118. Description: The property located at 10619 Charlene Dr Fairdale, KY 40118 with the MLS# 1522570 is currently listed for $134,900 and has been on the Fairdale market for 95 days. 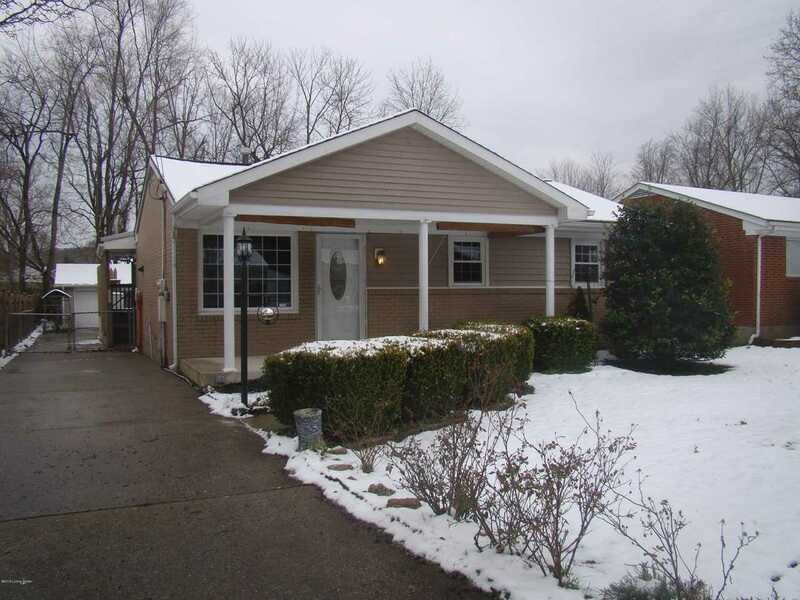 You are viewing the details of the home for sale at 10619 Charlene Dr Fairdale, KY 40118, located in the neighborhood which includes 3 bedrooms, 2 bathrooms, and has approximately 1457 sq.ft. of living area.